My proscan tv does not have optical output so I have to use an AUX. the problem I'm having is the sound is terrible. White noise always in the background and little pops. The only place the aux cord fits on the tv says "earphone". What am I doing wrong?! Thank you! Is there a way to convert the optical cord to something else? Here is what the tv looks like. Once upon a time there was optical to digital coax converters or vice versa. Would the optical be the output? I have looked but it doesn't seem like I can find the right thing. Your TV doesn't have an optical output. 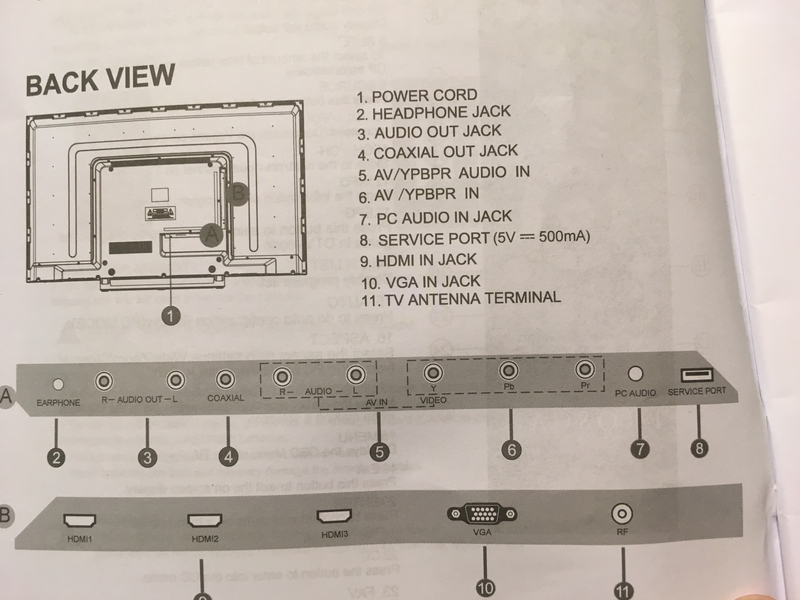 It appears, and I could be wrong, that you have a digital coax output, next to the analog audio left and right outputs. Best read your manual for the TV to discern exactly what the single coax output is....digital or analog.